XS Drift will make it happen! XS Promotions (Pty) Ltd International, owners of the national SupaDrift Series in South Africa and extreme sports promoters bring you XS Drift - the experience! XS Drift is a provider of superb good value driving experiences. As we all appreciate that when choosing an experience day for you or family & friends, decisions are not easy. Our aim is to offer you assistance every step of the way, with a wide variety of experiences to suit any occasion and most budgets. So whether you want an introductory experience to wet your appetite or a full blown experience or corporate event, XS Drift can help. We build our business on the back of happy customers who by recommending us to others help us to offer such great experiences at such unbelievable value for money. We have been organizing drift training and drift track days across the country, promoting the safe and legal alternative to street drifting. Currently our drift training days are held in a central location, in Johannesburg, Gauteng, South Africa. 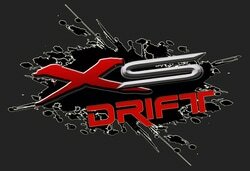 XS Drift is the premier drift training, and drift experience company in South Africa. XS Drift offers a range of drifting thrills, from taster sessions, short experiences to half/full training days, and advanced training on world-class drift tracks. No matter what your experience level, from complete beginner to seasoned racer, XS Drift promises an action packed session of tyre smoking thrills. Our extreme dedicated and trained staff take 1st timers through the Drift School and make them into full blown sideways junkies...! "IF YOU ARE NOT LIVING ON THE EDGE, THAN YOU ARE TAKING UP TOO MUCH SPACE !!"